Do you photograph the good parts? I really wanted to be able to say I photograph both. Over the years, I have photographed both the good and the bad, but the truth is, lately I primarily photograph the bad parts. Rarely do I focus on the good anymore. I know there are good things happening in the city, but I don’t show them. I suppose it’s easier to just drive downtown with my limited time, and photograph the things that I see along the way. Which is pretty much what I do. It’s partly convenience, but it’s also the reality of many people’s experiences with the city. 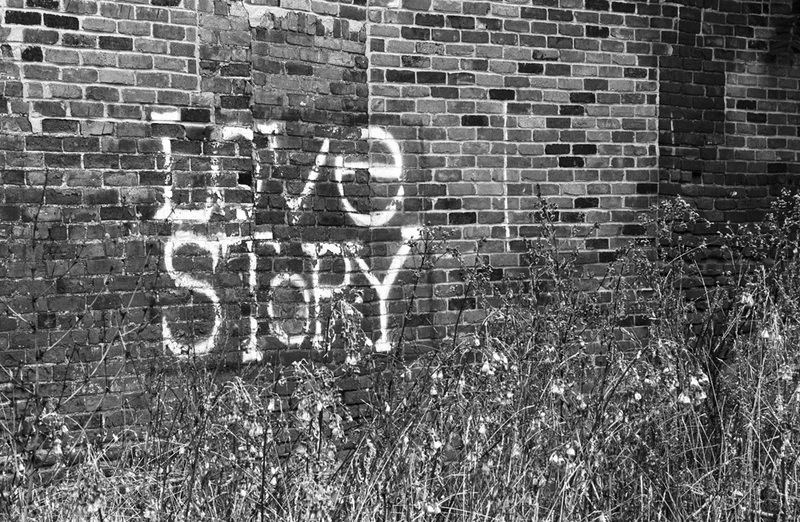 It’s hard to enter the city from any direction, on any road or freeway, and not be blown away by the amount of abandonment and decay. After more than thirty years of living in the area, I know I am still shocked by what I see in the city. 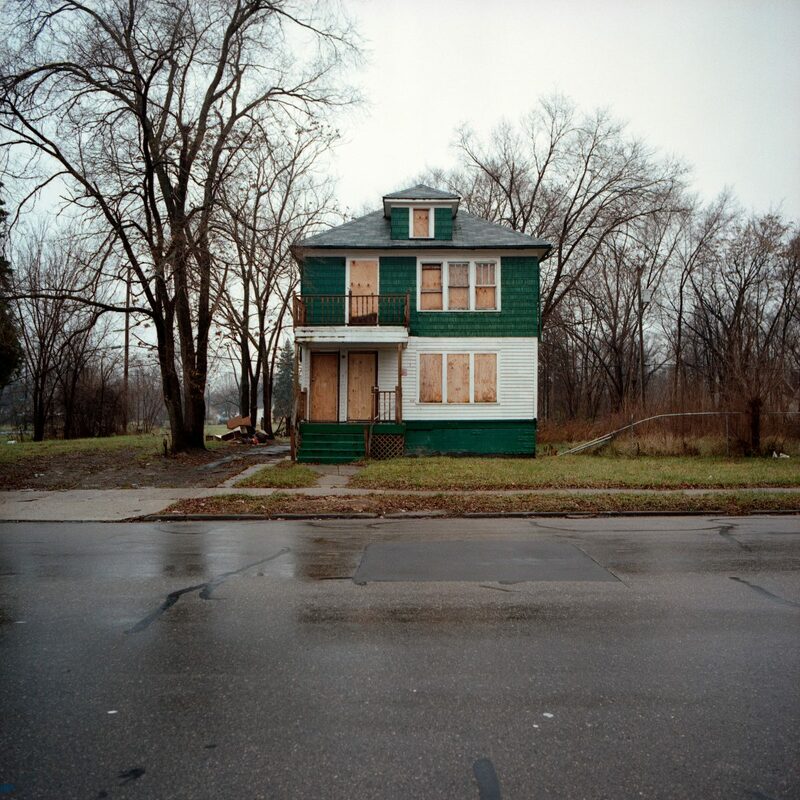 I don’t live in the area anymore, and I find the same uniqueness, and grittiness that supposedly makes Detroit so great is everywhere. 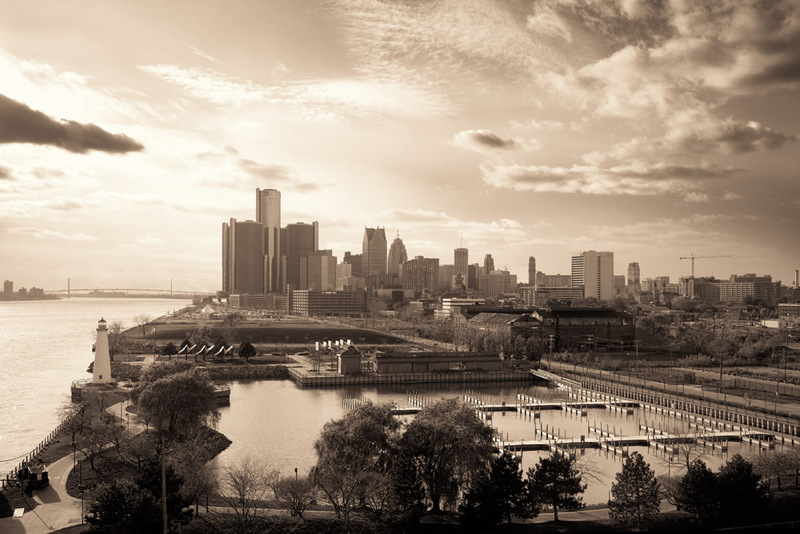 Grittiness isn’t Detroit’s secret ingredient, it’s simply a nice way of saying it’s a hard place to live. Who needs that? I’m happy for those who love the area, and truly feel they belong here, but life can be a challenge without having to fight dysfunction every step of the way. So, do I photograph the good parts too? No. Not right now. I’d really like to, but I think I still need more distance. I need to become even more of an outsider. Unfortunately coming back to the area still brings out bitterness. 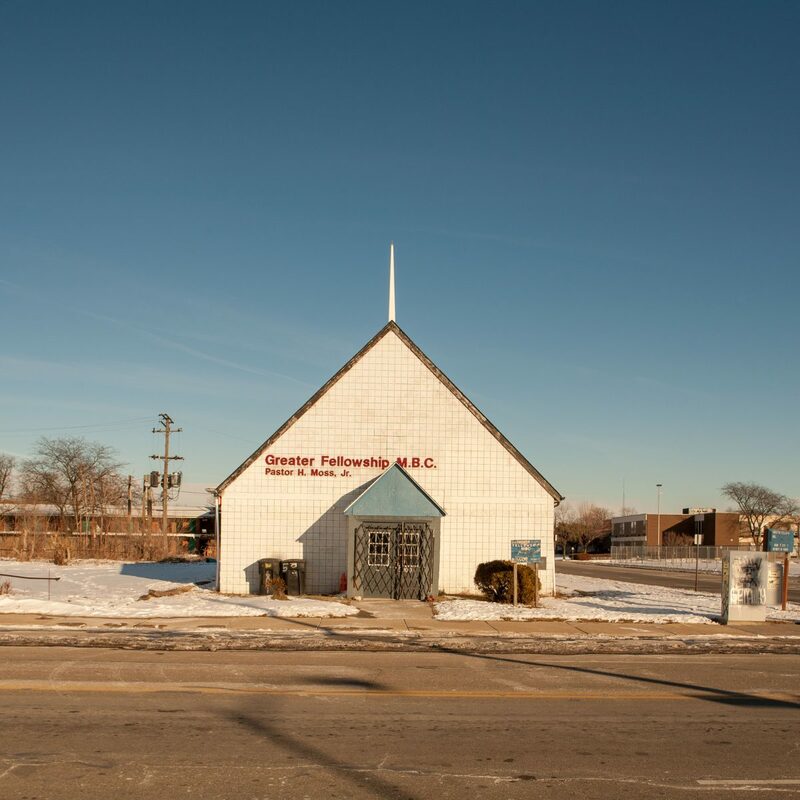 I like projects such as the “walk-in portrait studio” , The Power House, and the Russell Industrial Center, but some heralded establishments are only unique because they happen to be in Detroit. In any other city, it would just be one more good place to go. 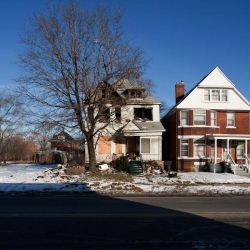 The good, and interesting things in Detroit don’t make up for streets like Robinwood, where a resident said about his situation, “It would be Hell if I was dead, but I ain’t. So that just makes the place ugly. The most ugly thing that human beings can create.” Unfortunately, Robinwood, wasn’t, and certainly isn’t, the worst street in Detroit. In some places six families would be considered a high number for a street. 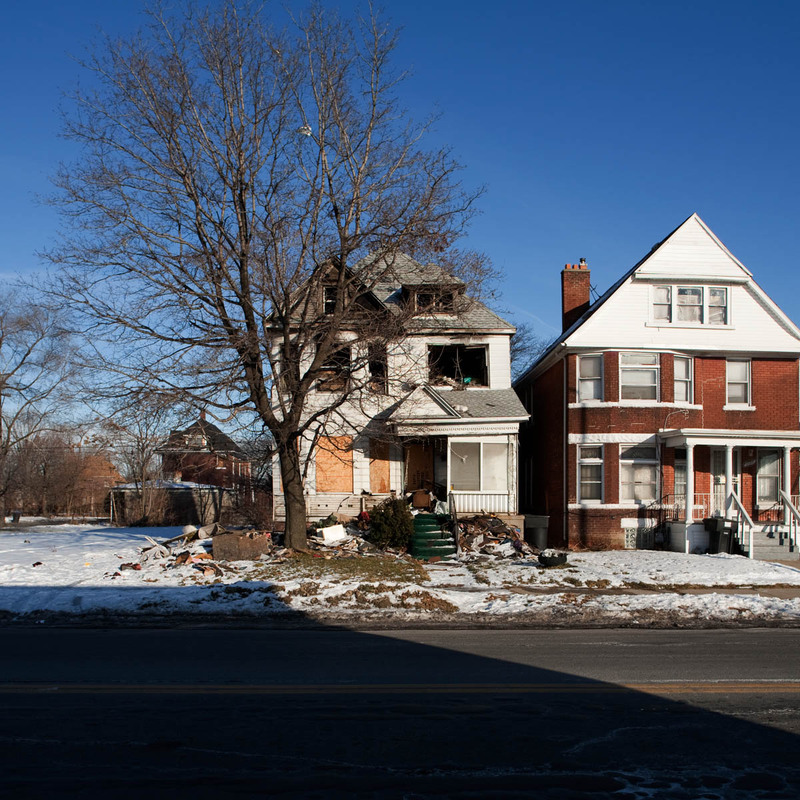 While the woman who asked me if I photograph the good parts said that there were good things happening in Detroit, she also mentioned there were only a few houses left on her side of the street she lived on.